Hello, recenty I downloaded the lastest build of Gzdoom, (August 11 version) and this one haves an black screen when the game starts, I can hear the menu sounds but a black screen stills. 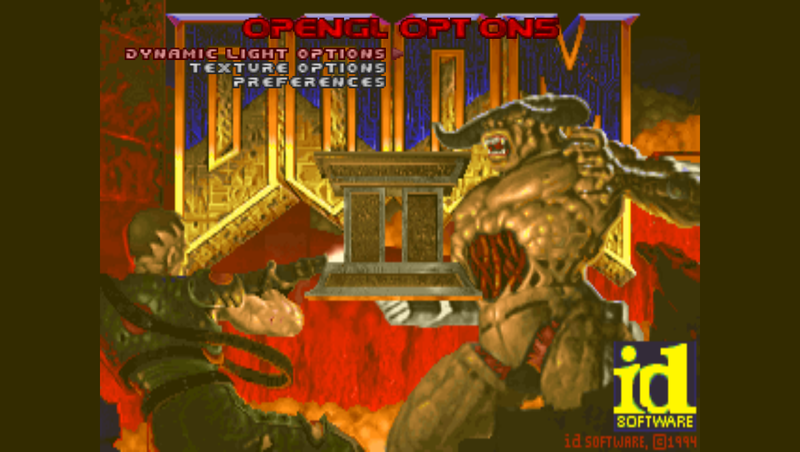 I have gzdoom-x64-g2.2pre-1905-gc0b8627 version and this one doesn't have that, I notice this is the last version where doesn't appear the black screen. With 2.2pre-2000-g34c62c4, I'm having the same problem. NullWire, which card are you using? Having a bit of a hard time tracking this issue down as both my Intel and Nvidia GPUs aren't showing this problem. -Use a resolution that has an aspect ration of 16:9. 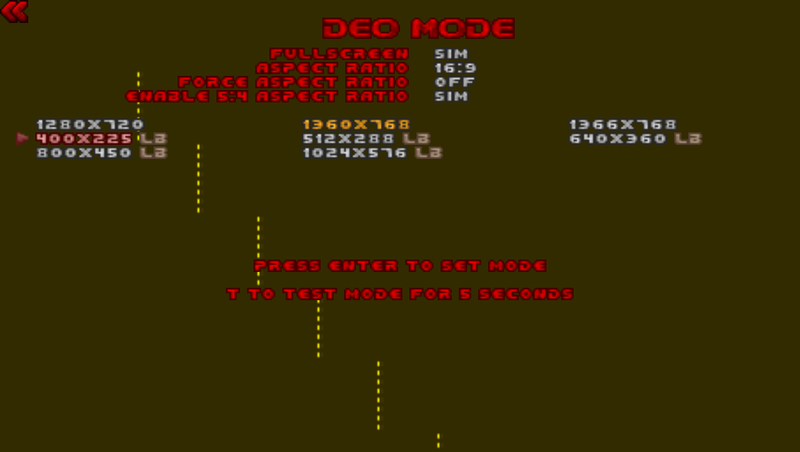 -Press alot of times the "Esc" key, the background may be black, but you'll be abble to see the menu and play the game. EDIT: Are you guys also using Windows 10? At the moment I'm looking for a pattern in which computers/GPUs have the black screen issue and which do not. If the things ibm5155 mentions helps getting rid of the black screen I'd love to hear about it, but otherwise the way I understand this bug report gzdoom starts up black and remains black no matter what you do. Last edited by ibm5155 on Fri Aug 12, 2016 21:26, edited 1 time in total. I appreciate your effort to try and help ibm5155, but I'm really looking for a broader understanding of exactly which computers and cards are doing this. I.e. if its exclusively an AMD issue or a specific generation of cards. I've already noted that your computer is one of them with some of the symptoms. I'm also having this issue exactly as it appears in ibm5155's video. 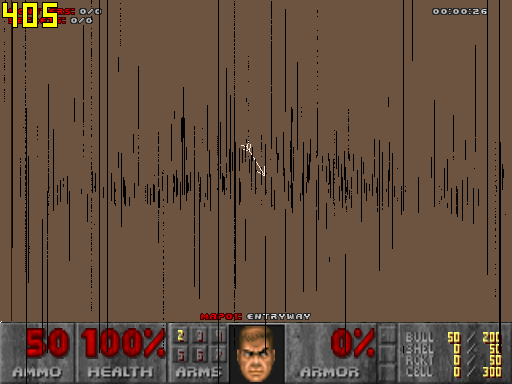 Open GZDoom, sometimes it runs normally, sometimes (more frequently) is just a black screen with sound on background as if the game is running normally but without some GL init or video initialization (blind shot there). It started happening with all git-builds since the inclusion of post-processing fxs. Tried older Crimson drivers, no matter which one, it still happens. i5-4590 and Radeon HD 7790 here. From dpJudas comment stating that he has intel and nvidia cards to test, it seems to be a AMD related problem. Based on what I see on the video, it does look like the viewport is broken somehow (where you see a partial menu). If you got the time ibm5155, I'd like you try see what happens if you build and run with the LB viewport fixes I did: https://github.com/dpjudas/zdoom/tree/l ... utions_fix - there is some chance that the fixes there might fix the black screen issue if its due to incorrect glViewport calls. I believe that the shared gpu in mobile pcs (mainly Intel+AMD since a few years) work together at low level, even if you select the Intel as the main gpu, the AMD still does some thinking for it. After research, we found that about the Intel+AMD gpu combo of recent mobile pcs, and a lot of people having the same trouble. In the end he traded his notebook for another one with only a AMD gpu. Back on topic: With my integrated gpu (Intel HD Graphics 4600) this black screen issue does not happens. Also tested with a notebook (Intel HD Graphics 4200) and it also did not happen there. I don't have a Nvidia gpu at hand to test, so not able to help there. Actually, the new notebooks (including the intel+nvidia and intel+amd gpu combo) act weird, the dedicated gpu act like a voodoo 2, and the intel gpu as a 2D graphics card. What does it mean? the amd gpu is only used for a single task (and the task is when you start a game), it then renders the game, send that frame to the intel gpu and then the intel gpu deal with it showing it on screen. But the combo is not perfect, if not well configured (for example), both gpus will fight to controll your display output (with that can result in the lack of control in screen bright level or even no vídeo signal), the thing is the intel gpu is the máster and the amd gpu is the slave, the amd gpu can try to compete with the display, but it'll never work since only the intel gpu is connected to the display and the vídeo output. dpJudas wrote: Based on what I see on the video, it does look like the viewport is broken somehow (where you see a partial menu). I tried but, the same errors as before (but I think it's a bit worse). -The same results as before, the only work with that tricks or in windowed mode. -Also a note, when I change the resolution in fullscreen mode, sometimes, the "VIDEO OPTIONS" string only shows "O MO" and the "OPTIONS" menu shows "OPT ONS". -All those errors still not happen using the secondary monitor (even the vídeo options shows correctly when changing the resolution). I think I may finally have a working theory for what is going wrong here. I noticed while testing on Mac that sometimes the buffers would contain garbage pixels. I've added a change to the lb_resolutions_fix branch that clears the buffers before use. That fixed it on my Mac, so maybe it will work wonders for you too. Here's to hoping. <Windowed> - Blackscreen, BUT if I change the window size on vertical (does nothing if done in horizontal) the screen magically became visible and everything just Works..
-Secondary screen: Everything Works just fine. 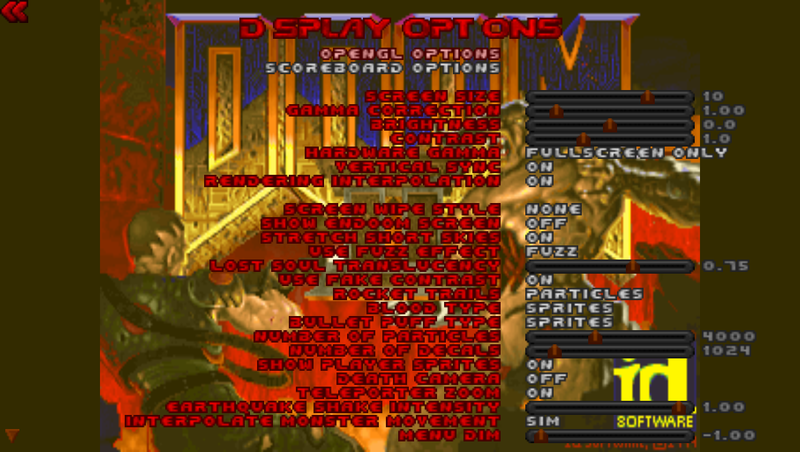 -Primary Screen: doom 2 title background is black, but you can see the game/menu and even the credits background image, also, there're some corruption with the bigfont when changing the resolution in fullscreen mode.